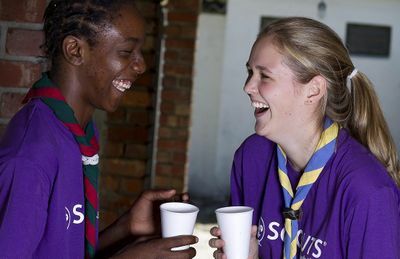 Scouts is for boys and girls between 11 and 17 years old. Being a Scout teaches you how to be independent, how to take responsibility, how to protect your environment, how to contribute to your community and how to be prepared for success! Hike, sail, fly and camp, get active, respect your environment, be a leader and team player, be inventive, experience the adventure. The Advancement Programme covers a wide range of activities for Scouts. These activities are completed as you progress up the advancement ladder from Membership through to Springbok, gaining Interest Badges along the way. There are also a number of Challenge Awards for Scouts who need an additional challenge. In the Scouting Skills section, you'll find all the Scoutcraft skills, such as Camping, Hiking and Mapping, Cooking, and First Aid. The Scout Advancement Programme section is where you'll find information on Advancement badges. The Scout Interest Badges page lists the various Interest and Scoutcraft badges that you can achieve as a Scout. Have a look at the various Awards available, including explanations about Star Awards. Scouts around the world are focusing on the Sustainable Development Goals. Find out how you can make a difference. See where your Scout Group came in the various Competitions, and learn about their history. If you are a Patrol Leader, or soon to be PL, the Patrol Leadership page will give you some hints and tips about becoming a better leader. This page was last modified on 29 March 2019, at 13:27.